The foundational series under the GHYCZY name, this avant-garde collection pays homage to the clamping technique that made Peter Ghyczy a pioneer in his field. After playing with fabricated 15mm glass plates first developed in 1960, the Pioneer Series was designed around glass being the central construct. Each glass plate floats within these designs clamped in several places, essentially holding the construction together. The frame is constructed from slender, 1 × 2 cm stainless steel square tubing. 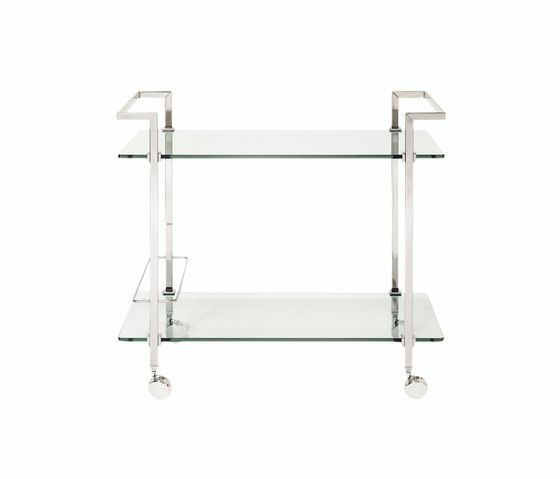 Small cast metal details secure the tempered glass plates, which are 10 mm thick and available in clear or satin finish. The total height is 71,5 cm.